I am in my third “gap year” from the Corporate IT Industry and starting chapter 3. It is the most amazing “university of life” experience ever, and is helping me decide what I want to do when I grow up. But isn’t your name Debra? Yes its still work in progress, and yes you may think I sound a little confused, and yes my name is Debra, however, there is something about Mary that is deep in my core character. 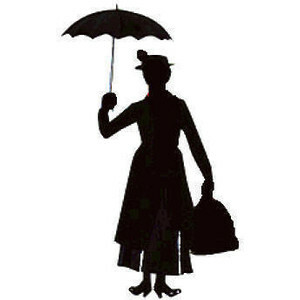 2014 was the 50th anniversary of the film Mary Poppins (think of Nanny McPhee without the warts). I was reminded of her role in facilitating change. She was hired to nanny two unruly children and what she actually did was reconnect a family. 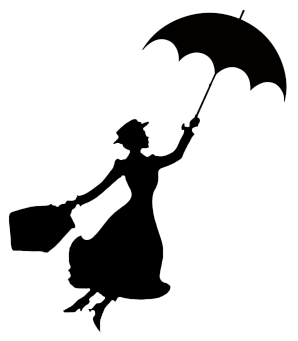 She came in on a wind change and when she was no longer needed, she left, carpet bag in one hand and umbrella held high in the other. The wind is changing for business today, in fact its more of a tectonic shifting. For businesses to ensure they have a future they need to reconnecting with WHY they exist, collaborate with people from diverse backgrounds, and embrace the technology that is now able to enable their business. What’s this got to do with Debra (or Mary for that matter)? I help business leaders see things from different perspectives, to reconnect with their communities and purpose. I have a variety of models and methods in my carpetbag, that can support the creative process, provide insight to aid innovation and accelerate the facilitation of change. Once I have helped, then I like Mary will move on and help another family. I am inspired by connecting with people, their ideas and plans, by helping them “to simplify the complex”, and using Technology as one of the factors to enable their success. Relationships matter most to me, I have always been social (with or without media) and I am so excited about the possibilities that digital technology now offers everyone. For the usual blaa blaa blaa about Debra see uk.linkedin.com/in/debraffox , more about Mary to come with her carpet bag of magic and fun.